Pure Air Control Services, a nationally recognized indoor environmental quality firm, will be hosting the Sustainable Buildings Conference along with Tremmco/CanAm on April 27 from 11:30 a.m. to 5:30 p.m. It will be held at the IAQ Learning Institute, located at 4911 Creekside Drive in Clearwater, Fla.
During the conference, industry experts will speak on a number of topics, ranging from indoor air quality for sustainable buildings to understanding the risks of Legionella bacteria. Over 60 indoor air quality professionals are expected to attend. 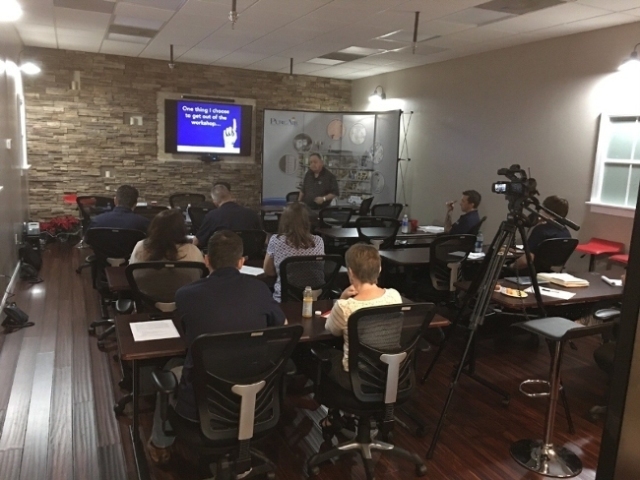 "It's important to educate the industry on the latest developments in indoor air quality diagnostics, testing and remediation," said Alan Wozniak, CIAQP, CIEC, CAB, President & CEO of Pure Air Control Services. "This conference will create awareness and provide scientific data to help our clients overcome the challenges of the indoor air quality for sustainable buildings." For more than 30 years, Pure Air Control Services, along with its divisions has provided customers with complete Indoor Environmental Quality (IEQ) solutions, including environmental consulting, laboratory support and services, and remediation services for building and HVAC systems. In addition, the company distributes the widely read weekly e-newsletter, The IEQ Review, which has provided industry news and updates to IAQ and IEQ professionals across the nation for more than 15 years. "Our commitment to education comes from our deep desire to ensure that our employees, colleagues and industry professionals are armed with the best and most accurate information possible when addressing clients', or their own, IAQ needs," said Wozniak. The Sustainable Buildings Conference is free. Due to the heavy demand, a second day has been set for April 28. To register for April 27, click here. To register for April 28 click here. Call John Barreira at (727) 572-4550 FREE ext. 603 or his colleague Camille Pedraza ext 202 for further information. Seating is limited. A complimentary lunch is included with registration.